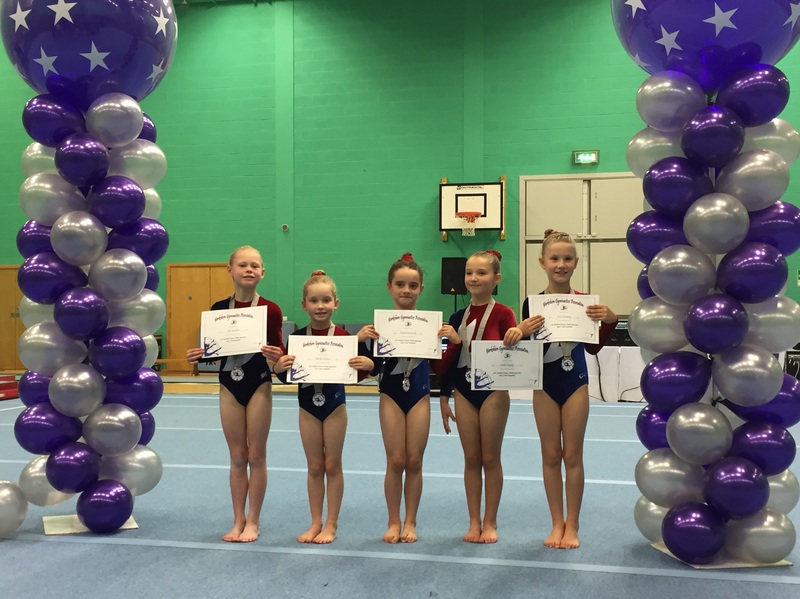 Charlotte – 5th on vault, competing FIG for the first time. Megan – 5th on floor. Ellie – 3rd overall, 1st bars. Alex – first competition since tearing her ACL. Performing a new floor routine and placing 4th on bars. The three youngsters had a good day in Sheffield. Performing on all apparatus without large errors. Tilly – 4th overall, 4th beam, 5th floor. 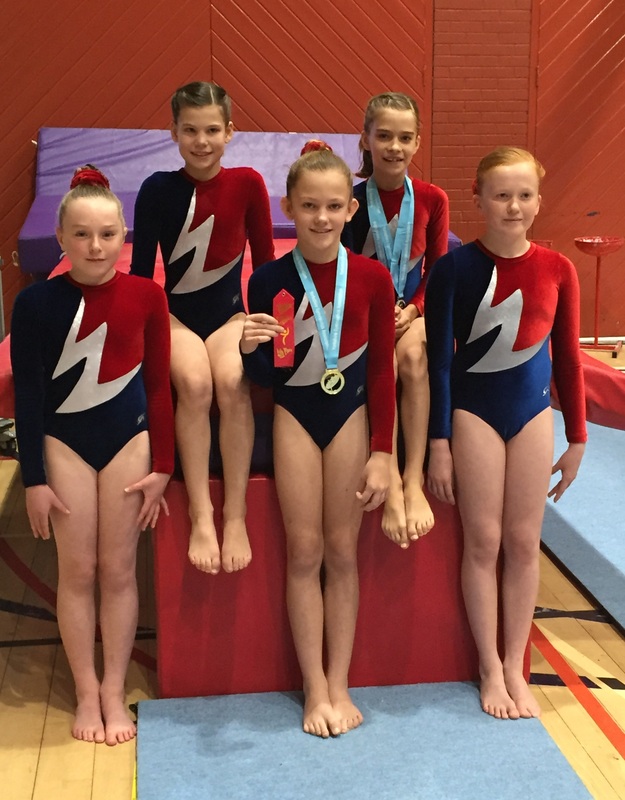 Isobel – 5th overall, 2nd on beam. Emilia – 11th overall, first competition for the club. 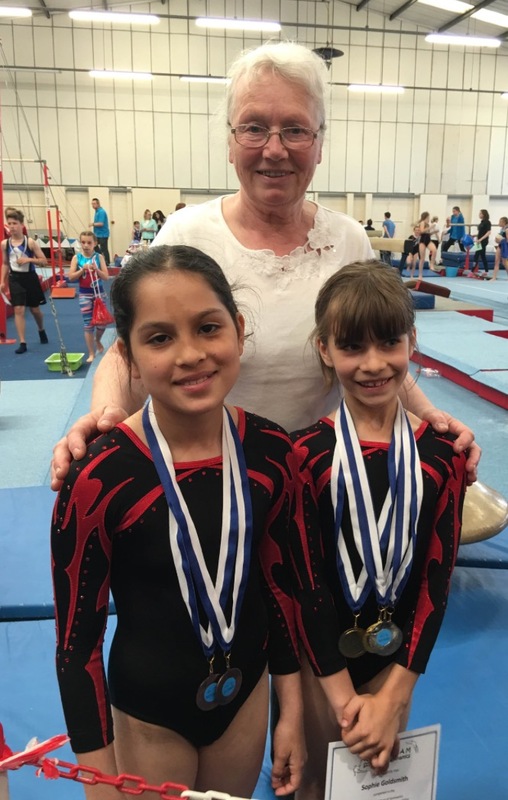 A busy weekend for the Wetherby girls. Sophie – 3rd overall, 2nd on bars, 4th on beam. Libby B – Placed 3rd on bars. Libby C – 2nd overall, 4th bars, 5th beam, 6th floor, 7th vault. Anya – Placed 8th on bars. 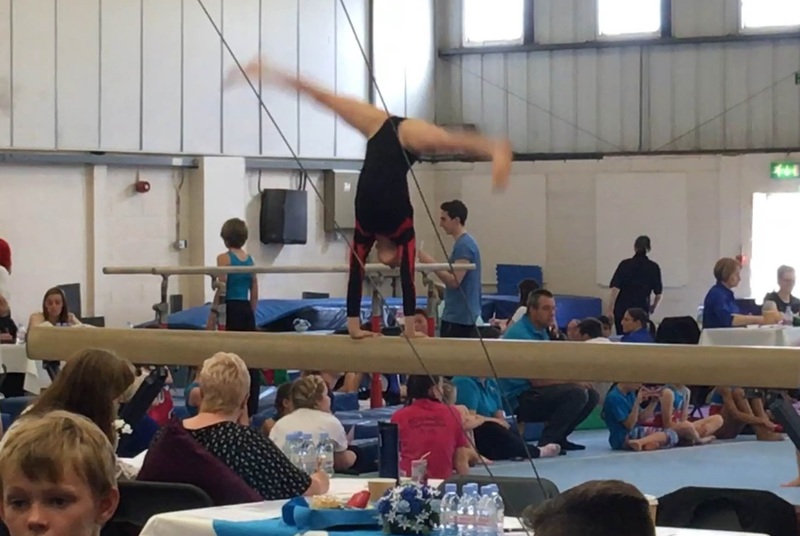 Charlotte – First time competing for Wetherby placing 9th on vault. Aurora – 8th overall, 7th on beam. Molly – 12th overall, 5th on bars. 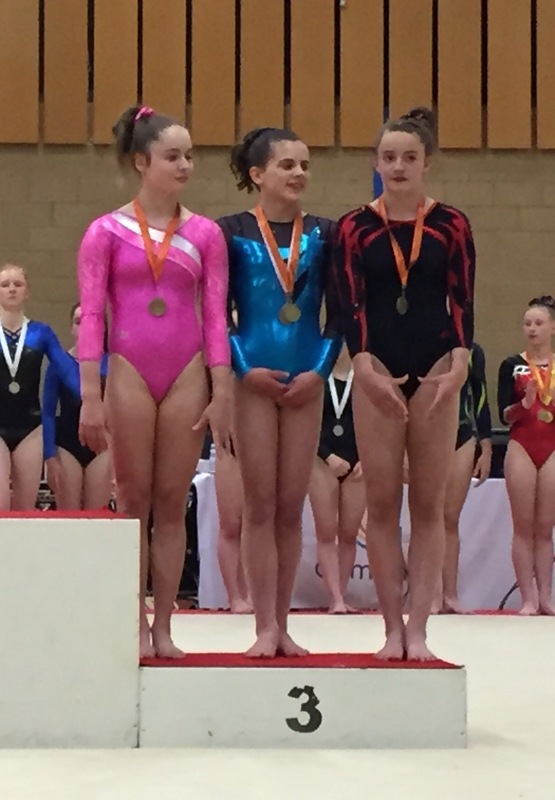 Ellie Bailey – 4th overall, gold on floor. Fleur – Placed 9th on vault. Eleanor – 7th overall and 7th on floor. 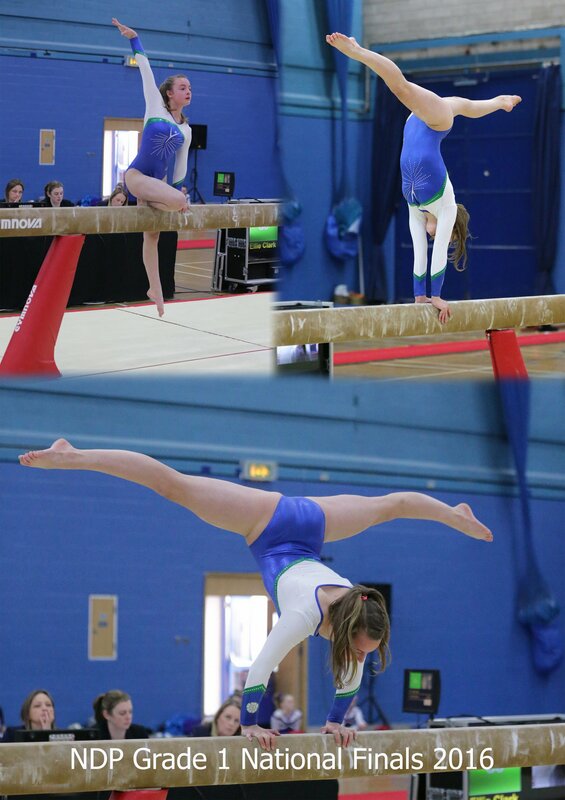 Harriet – 5th overall, 6th vault, 7th on bars and beam, 8th on floor. 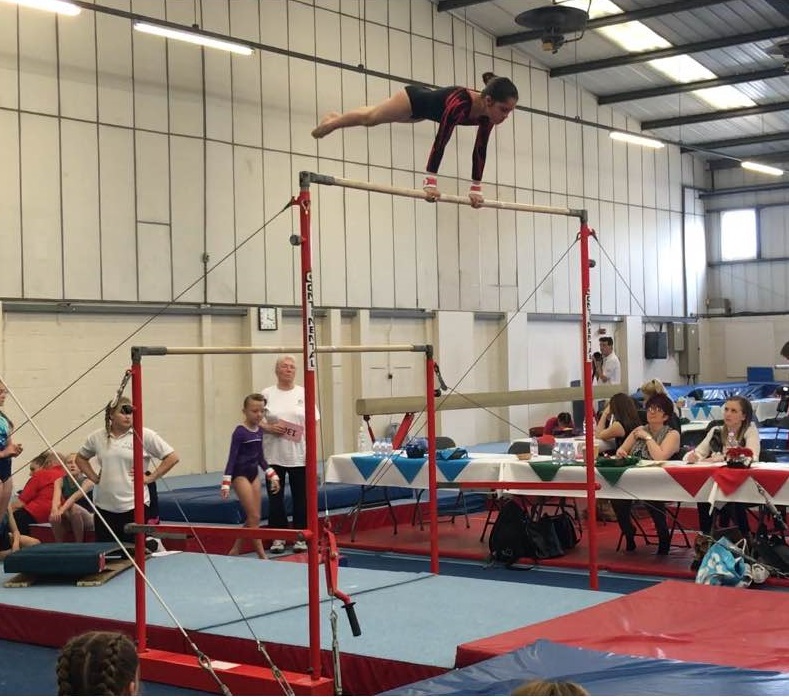 Emily F – first upstarts and somersaults in competition. Ellie Nolan – 24th overall with an unexpected fall on bars. Sydney – 9th overall and 9th on beam. A weekend full of experience and new skills performed under pressure. 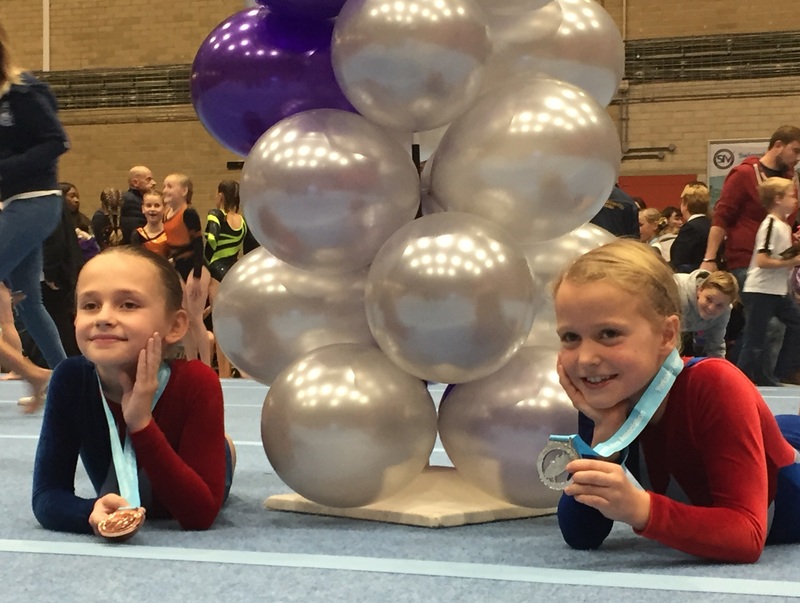 Ellie competed in her first FIG competition outside of Yorkshire. Performing a full twisting front somi on floor and shoot 1/2 to handstand on bars for the first time. Placing 7th overall and winning the bronze medal on vault. 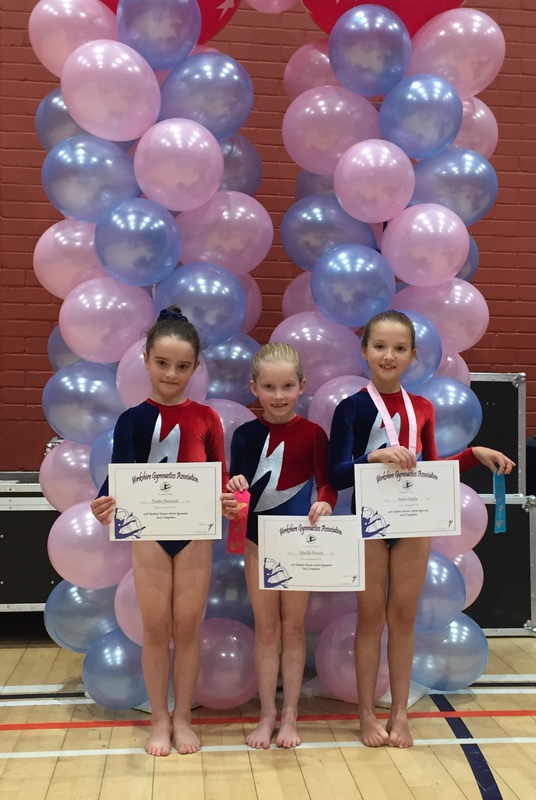 Matilda, Faith and Ellie took part in the level 4 competition. All three gymnasts competed full twists on floor for the first time. Ellie stepped up to level 4 as a junior in this event, Matilda placed 7th overall, and Faith placed 6th on beam. 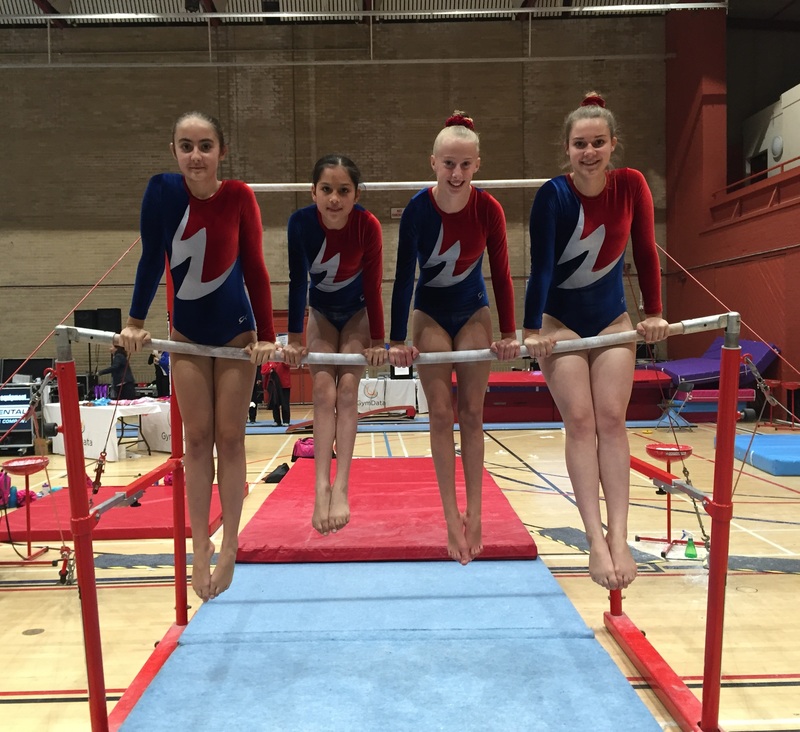 Four gymnasts from Wetherby gained valuable competition experience taking part in the Rotherham Invitational event. 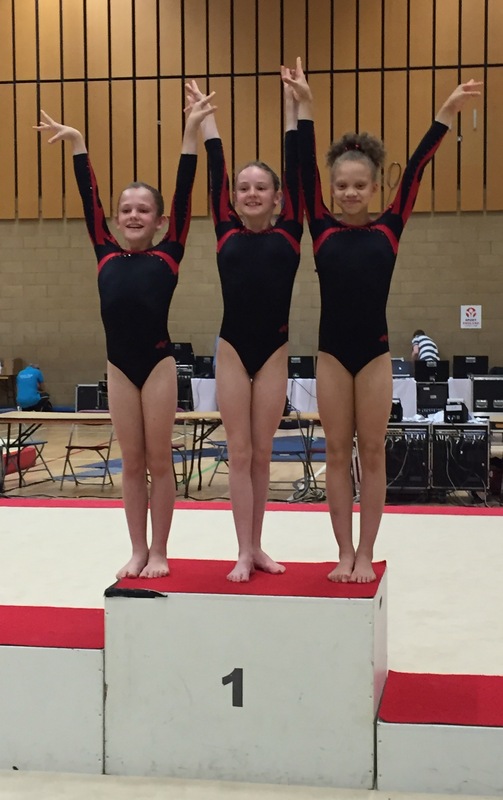 Competing roundoff flics, acrobatics on beam and catching the high bar for the very first time under pressure. 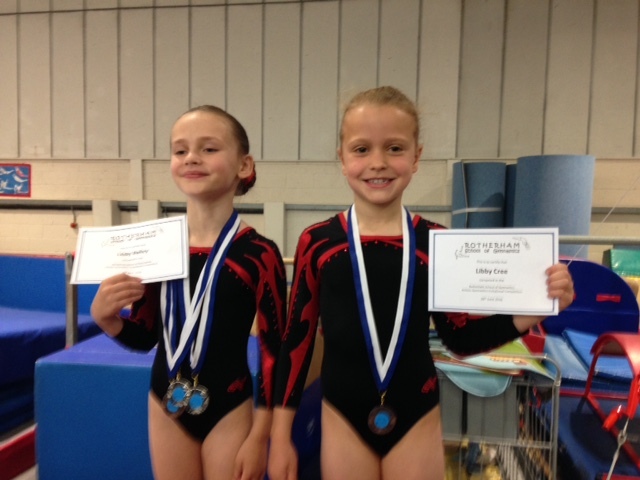 Sophie – Gold overall, 2nd bars, 2nd on beam, gold on floor. Anya – fourth overall, 3rd on bars, 3rd on beam. Libby Bailey – 2nd overall, 2nd on beam, 3rd on floor. Libby Cree – 3rd on bars. Ellie has completed every level in the national grades pathway and represented Yorkshire in the National Grade 1 final. The Yorkshire team achieved an excellent result placing fourth. Ellie placed 21st individually making the top half in the country at the highest level national grade. 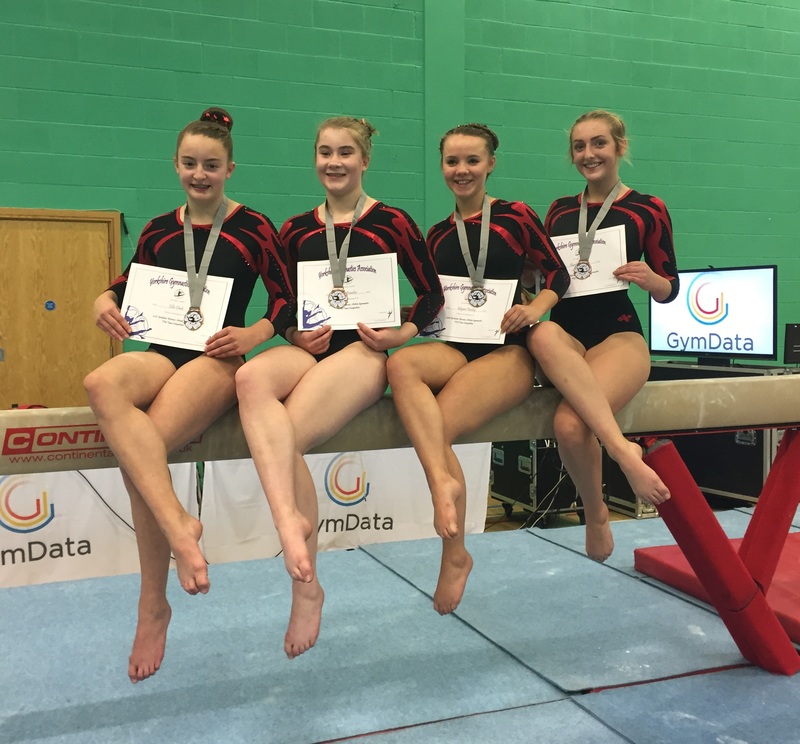 Only a handful of gymnasts in Yorkshire have completed the national grades pathway. Congratulations Ellie.